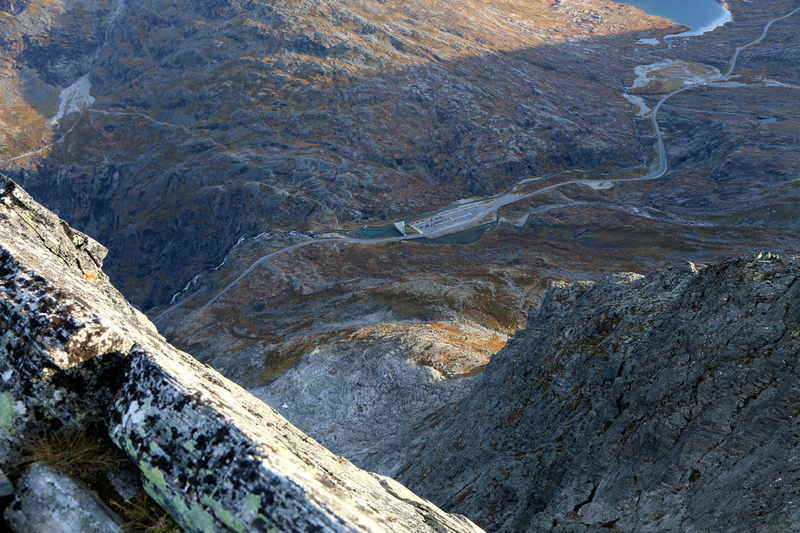 The trailhead is located slightly above the tourist facilities at the top of the famous Trollstigen highway. This road (Hwy. 63) connects Åndalsnes with the valley Valldalen. There is a turnout parking for 4-5 cars at a place named Strupen, location N62.44700, E007.66164, elevation about 750 meter. Follow a cairned path from the trailhead up to a bridge at the outlet of lake Bispevatnet, elevation 1000 meter. 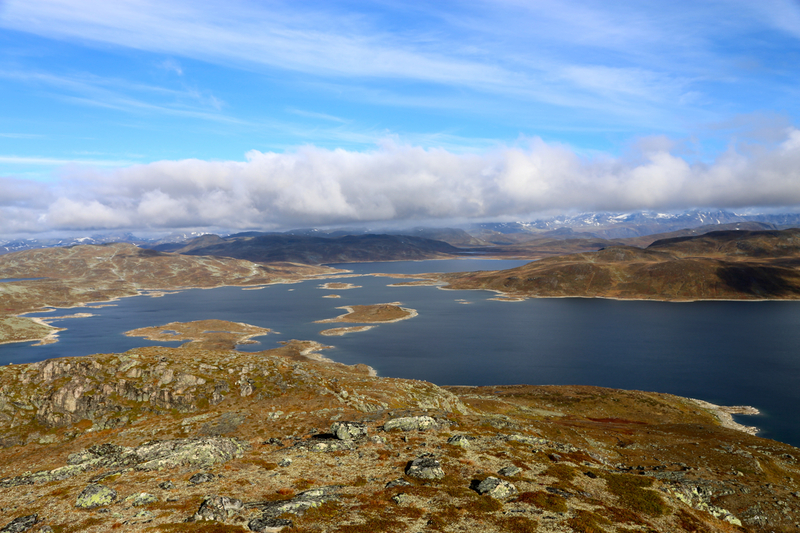 From here, the trail runs along the lake (east side), then gains the (1120-1140) saddle between the two peaks, Bispen and Kongen. 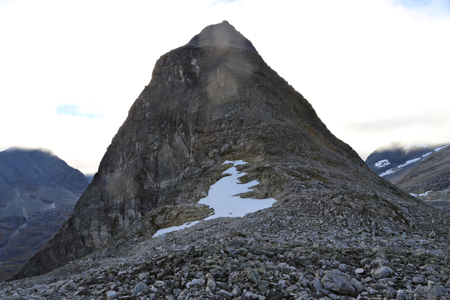 Actually, this trail serves Bispen and climbs quite a bit above this saddle on the slope of Bispen. 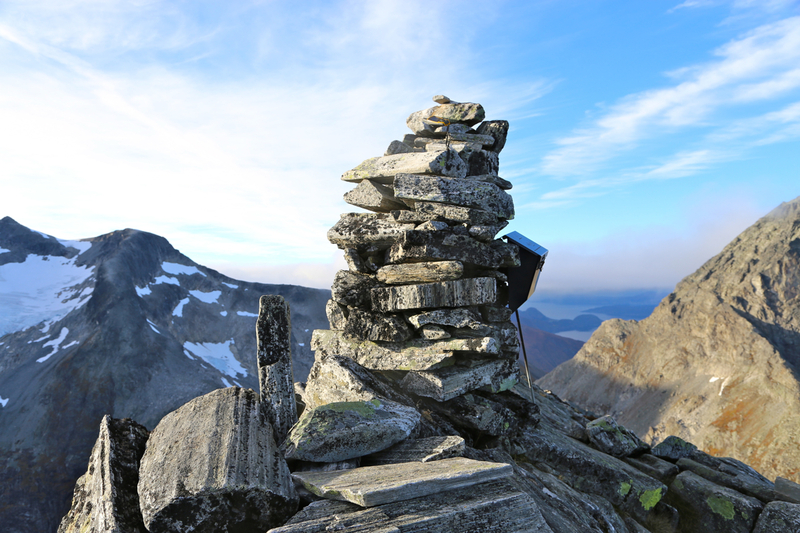 Continue uphill, the trail is quite visible and well marked with cairns. There is a single step of pretty easy (YDS) class 3 scrambling. The summit is quite pointed with a very impressive view back down to the tourist parking at the top of the Trollstigen highway.